Let’s take the big things first. The Carson Valley is a beautiful place. A broad green valley with the Sierra Nevada mountains rising straight up in the West and the Pinenut Mountains in the distance to the East.The East and West forks of the Carson River winding through the meadows. We enjoy four distinct seasons, and at 4500 feet in elevation and in the shadow of the Sierra, we don’t get too hot in the summer nor typically receive large amounts of snow in the winter. Generally, this part of Nevada sees about 300 sunny days annually. We combine a rural feel, with ranches along many of our main roadways and open space all around, with suburban convenience when it comes to shopping and services. Traffic is rarely congested, yet with the major North-South artery of Hwy 395 slowing down to 25 mph and serving as our Main Street, we connect easily with Carson City and Reno as well Hwy 50 and Interstate 80 for travel to the East and West. Our residents enjoy top tier medical services from two major providers, a strong network of recreational facilities including numerous parks and a swim center, a vibrant general aviation airport and a trail network for hiking, cycling and equestrian use that is extensive right now and continues to grow every year. The arts are well represented, with concerts and theatrical performances thoughout the year and galleries and shows as well. The engagement of the residents in our community is remarkable. Service clubs, non-profits and the opportunities to volunteer abound. Got an interest in birding, gardening, history, quilting, classic cars or dozens of other areas? There’s probably a group of fellow enthusiasts here for you to share your passion. The advantages of Nevada residency are well known, with no state imposed personal income tax the most notable. The range of housing on the market is as broad as it can be, from affordable condos, patio and single family homes to the most expansive estates. It’s a great place to raise a family, enjoy retirement or anything in between. Come spend some time here, we think you’ll see right away why this is a wonderful place to call home. 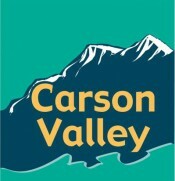 We'd be happy to send you a packet of information on living in Carson Valley. Just Click here to send us an e-mail.